Home Community Could an Arctic agreement revolutionize global trade? OPINION: An Arctic Free Trade Area with robust, science-based environmental protections could set a far-reaching global precedent. The World Economic Forum recently calculated a 1 trillion dollar untapped investment potential in one of the planet’s most environmentally vulnerable and critical regions — the Arctic. Increased industry and economic activity historically come at great cost to the environment, and the risk is especially high in the Arctic Circle. While traditional trade agreements tend to neglect environmental regulatory cooperation, an Arctic Free Trade Area, including all eight Arctic Council member countries (Canada, the Kingdom of Denmark — including Greenland and the Faroe Islands, Finland, Iceland, Norway, Russia, Sweden, and the United States), could set a new and revolutionary precedent. Adding science-based environmental regulatory standards to a multilateral agreement that reduces trade barriers could harness economic opportunities in the Arctic while mitigating environmental consequences. In doing so, an Arctic Free Trade Area would also improve global diplomatic relations in a complex political environment. 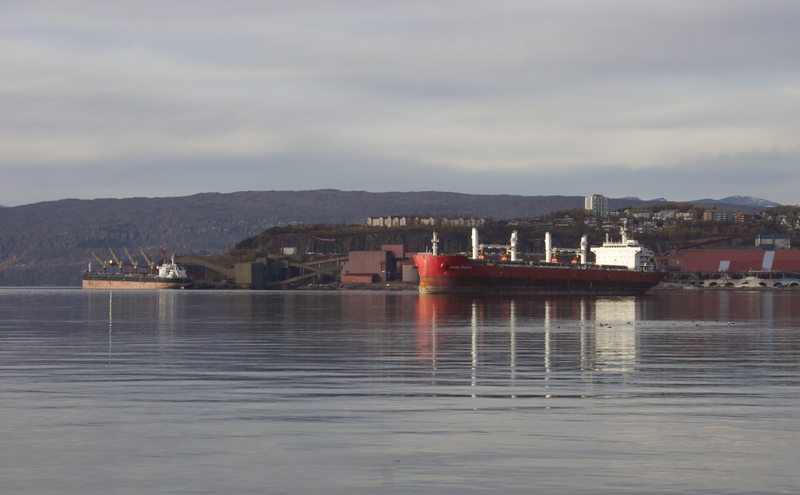 The lack of regulatory harmonization is a daily challenge for Arctic business. Take icebreaker services — an expensive yet necessary requirement for many Arctic industries. A Finnish icebreaking company can operate in Iceland under similar regulations as Finland. The moment it crosses over into neighboring Greenland’s waters; however, each employee is subject to an additional income tax on top of his home country’s taxes. These sizeable costs of cross-border business disincentivize industry and infrastructure growth in concentrated regions. This also demonstrates the need for economic and environmental regulatory alignment between existing bilateral deals, such as the tax treaty between Finland and Denmark, and economic blocs including the European Union, European Economic Community, and the North American Free Trade Agreement. Within the realm of icebreakers and equipment with similar military classification, rules-of-origin laws prevent countries, like the United States, from using goods with significant components produced abroad. With most countries only owning a handful of icebreakers nationally — due to exorbitantly high costs of production along with a 10-year average production time — these regulations prevent cooperation, sharing of best sustainable practices, and economic development. Basic trade facilitation measures in this kind of agreement could include reducing or removing tariffs, quotas, and in some cases subsidies on environmental goods like solar equipment, wind turbines, and safe drilling tools. Negotiating regulations and intellectual property rights that promote shared investment in infrastructure and ease technology transfers among signatories should also be a priority. Parallel to trade liberalization, an Arctic Free Trade Agreement could revolutionize standards of environmental regulatory cooperation. The Arctic is rapidly approaching tragedy of the commons: Environmental abuse within one country’s borders is felt not only by all eight Arctic states, but also by the rest of the world. The International Maritime Organization has developed tailored multilateral agreements, like the Polar Code, that address some of these concerns, but there are large gaps in legislation that would be better facilitated by a trade agreement. Measures are likely to include fisheries, emissions caps, fuel and oil regulations, sustainable infrastructure development, resource extraction guidelines, and clean energy requirements. Historically, global environmental standards lack “teeth,” or any type of enforceability, with protection largely at the will and mercy of the individual governments negotiating the trade deal. Unlike trade-based regulations such as tariffs, market access, and subsidies, the World Trade Organization leaves environmental standards relatively open. Although this was necessary to incentivize nations to sign onto the General Agreement on Tariffs and Trade in 1947 and WTO in 1994, environmental standards must be modernized to meet the challenge of increasing global temperatures, largely the result of a rise in global trade over the past 50 years. Unlike labor standards, which have some direction in trade agreements from the International Labour Organization charters, environmental regulatory direction and cooperation is in limbo after the United States’ recent withdrawal from the Paris Climate Accord. At the same time, private corporations take advantage of investor-state dispute settlement mechanisms in trade deals that allow them to challenge governmental environmental provisions if they experience an impact on profits. Trade agreements are being modernized to reflect new challenges like the digital economy and intellectual property, but what about stronger environmental standards? The ongoing NAFTA negotiation is a prime example; proposed text reflects modern trade challenges (the original agreement was drafted in 1994), but it is unlikely that the environmental chapter will experience as much evolution. Rising global temperatures, driven by increased greenhouse gas emissions, impact the Arctic more quickly and more severely than any other region. The eight Arctic Council countries not only house leading scientific experts in this field, but the organization itself is uniquely positioned as a respected body to take on a stronger enforcement role within the context of a trade deal. Although the agreement must be negotiated government-to-government (in the United States, for example, the United States Trade Representative would negotiate the agreement, with final approval resting in Congress), the Arctic Council and Arctic Economic Council could provide a forum for negotiations to commence. The most effective way to introduce new content — in this case stronger environmental regulatory cooperation — to the global trading system is to set precedent through regional trade deals, starting in the Arctic. It’s time for the environment to stop paying the price for free and fair trade. Let’s begin revolutionizing current trade practices through an Arctic Free Trade Agreement. Mehek Sethi is a Master of Public Policy candidate at the Harvard Kennedy School of Government with a background and interest in International Trade. She has a bachelor’s degree in Economics and Political Science from the University of California, Berkeley, and is training to become an Economic Foreign Service Officer as a Thomas R. Pickering Foreign Affairs Fellow at the U.S. Department of State. She is originally from Portland, Oregon. This piece is one of a series of op-eds written by student-scholars of the Arctic Innovators Program at the Harvard Kennedy School’s Arctic Initiative. You can read the full series on this site. The views expressed here are the writer’s and are not necessarily endorsed by Arctic Today, which welcomes a broad range of viewpoints. To submit a piece for consideration, email commentary (at) arctictoday.com.